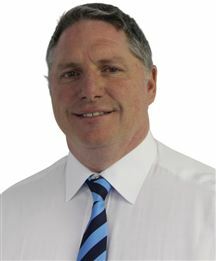 Joey Maritz, the Principal since 1989, has over 20 years of experience in the Centurion Real Estate market. The C.E.O, Dr Riaan Maritz prides himself on professionalism, honesty and an excellent history of satisfied clients. All agents at Harcourts Maritz are fully trained in the latest Real Estate trends and marketing methods. Currently we covering the Residential, Commercial and Industrial market in Centurion, Pretoria and Midrand. Our Customer Service Department is there to support our Sellers and answer any questions they have. We sell over 85% of our Exclusive Mandates. We sell within 7% of Asking Price – That means we sell homes for MORE! •In the top 5 for the I.R.S.A. awards. Joey Maritz first entered real estate sales in Centurion, South Africa in 1987, and by 1989 had rapidly built a successful sales team . In 1991 the Homenet group invited Joey to join them as Homenet VWB. Joey's outstanding sales and management skills as well as her personable approach plays a key part in ensuring Homenet VWB is provided with dynamic support and outstanding client service She obtained qualifications in real estate through the Real Estate Institute of South Africa and graduated in 2000 from Homenet’s Training Academy Joey is recognized nationally as one of the most successful real estate agents in South Africa, achieving top ranking at national level for many consecutive years. 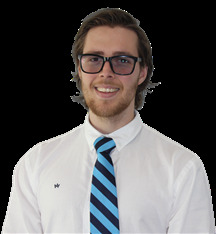 Joey has vast experience and knowledge covering all aspects of the real estate industry. She is as enthusiastic about the industry today as she was when she first started. Joey believes passionately in continuous development, both professionally and personally. Joey’s pledge of quality: I will work full time as your professional Sales associate to help facilitate the Real Estate process, making it a smooth and profitable experience. After 16 years in the banking industry Marie took on a new challenge and join Homenet VWB in 2002 as a estate agent. She completed the Estate Agency Affairs Board examination, CRS (SA) training and also graduated from the Homenet Training Academy. During 2007 she decided to move to the financial side of the company. She is responsible for managing all financial transactions and the monthly reports. 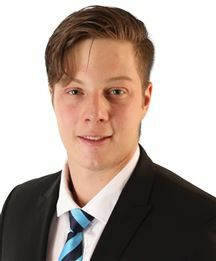 Riaan has learned all about the Real estate Industry of South Africa in the past nineteen years, starting as an agent while studying for dentist. Four years ago Dr Riaan Maritz joins Homenet VWB again as an agent and manager, after practicing as a dentist in England for 6 years. He is now in a good position to take the agency to new heights.” As from June 2009 Harcourts Maritz appointed Dr Riaan Maritz as the new CEO. 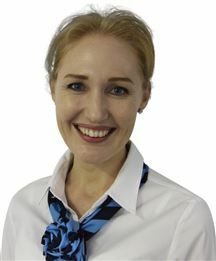 Sarah’s highly valuable experience since 1998 covers many sectors within the Real Estate industry in South Africa. Her outstanding sales and management skills as well as her personable approach plays a key part in ensuring Harcourts Maritz offices are provided with dynamic support and outstanding business planning. Sarah’s knowledge, training and sales experience will support her in her role where she is responsible to help new consultants establish their career and up-skill experienced consultants to improve their business Sarah is part of a team with a passion for maximizing the use of Harcourts Training and Systems to increase the success of the individuals, sales teams and offices to grow their market share and the brand as a whole Sarah believe the key to enjoyment, profit and longevity in the Real Estate business is to secure the best people, reward and retain them whilst ensuring everyone encompasses the highest ethical standards and those core values that you display every day. After having been in the motor business with her husband for 18 years, Amanda joined the Real Estate Business in March 2009. 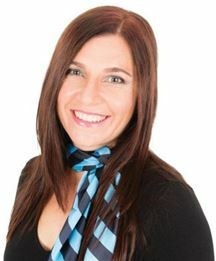 She has enjoyed every moment since joining Homenet VWB as a residential Estate Agent, active in the Pretoria East area of Gauteng. Integrity and empathy towards people plays an important role in her life. Through the years she attended several Homenet Training Courses as well as courses offered by the Institute of Estate Agents which she thoroughly enjoyed. In 2003, she passed the Estate Agents Board Exam and graduated through the Homenet Academy that same year. In March, 2009 she became qualified through the Recognition of Prior Learning course, a legally required qualification by SETA for Estate Agents . Amanda’s personal mission is to go the extra mile for her clients and never stop learning!! 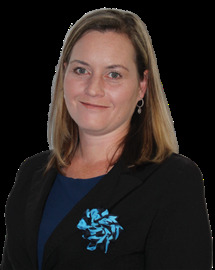 Analie Viljoen returned to the real estate industry in August 2016 after spending some time in administration and human resources. She mentioned that the awesome feeling of seeing a family happy in their new home has definitely not changed and is still as rewarding. 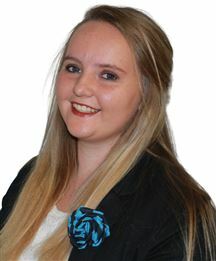 She has completed the Topnet and Harcourts in-house training and has successfully complied with the current Logbook requirement of the Estate Agency Affairs Board. She will be finishing her BCom: Industrial Psychology degree in June 2018 and continuously attends industry specific training and updates. “People come and go in this industry. My goal is to, through my professional service and passion not only for property but also people, build up credibility. A huge part of my business comes from referrals and repeat business, and I take that trust very seriously.” Analie values having respect for each property transaction and putting customers first. Going the extra mile and continuous feedback throughout the transaction is what can be expected from her as your estate agent. After many years as a Sales Manager in Wholesale Business, Dawie decided to start his career in the Real Estate Industry. 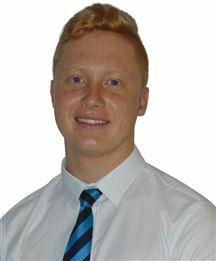 Dawie’ s love for people and outgoing personality will assist him in his role as Estate Agent and being one of the best. Dawie joined the Harcourts Maritz team almost a year ago and he loves to put “people first’ to be courageous and doing the right thing and is one of Dawie’ s mottoes. 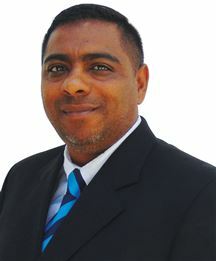 Eugene Maree has been working in the real estate industry for the last two years, having previously worked in the police force as a detective. She loves working with clients, and the real estate industry as a whole with a specific focus on her area in real estate developments. 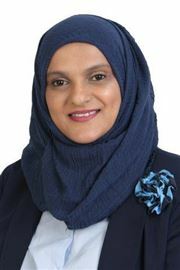 Fahmida Omar: Your Harcourts Real Estate Agent I am a customer-service oriented real estate agent who assists home buyers and sellers with their property requirements. If you're looking for an agent with patience, perseverance, and a passion for helping people, you've just found her! Following a Passion for Real Estate I relocated from Tzaneen to Pretoria a few years ago, and it gave me a chance to "reboot" my life and my career. I chose real estate as a career path, because it allows me to use the customer service skills I acquired. It also gives me a chance to serve the community I love. I've always been interested in real estate, and now I'm fortunate enough to do it for a living. 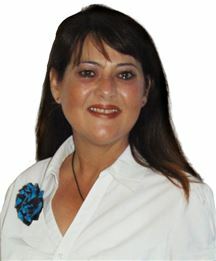 Irma Olivier joined Homenet VWB, now Harcourts Maritz, as a residential Estate Agent in May 2004. She still works in the Wierda Park, Eldoraigne and Rooihuiskraal North areas of Centurion, Gauteng. She graduated from Homenet’s Training Academy and also achieved NQF 4 in 2010, passing the PDE exam with flying colours in 2013. 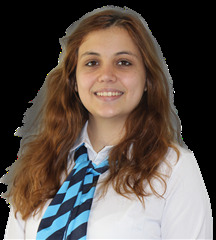 Irma is a competent and very consistent , self motivated and hard working estate agent. Her customers are very satisfied because she is always professional, helpful and available for her buyers and sellers. She keeps them informed throughout the marketing and registration process. Experience, accuracy, skill, energy, motivation, service, results... At Harcourts Maritz Office, we believe that the agent chosen for the marketing of your property, require all of these attributes to achieve success. My passion for property started at a young age watching my father and his parents before him doing multi-million rand deals and making the property industry into something that one can build a legacy on of pride and professionalism. After studying finance a the university of Pretoria I soon realized that being an agent is more than just being a businessman and making things happen. It’s about helping people and making a difference in the community you live in. Giving people a home or helping them achieve financial growth over a long term. And making friends for life that know they can count on you. Na I have found it’s the people I have the privilege of working with that drive me too. MY PROMISE TO YOU On signing A Sole Mandate with us you can be confident of professional service, regular feedback and the essential element of communication. People First, Doing the Right Thing, Being Courageous, Fun and Laughter. These are the eleven simple words that say it all. They provide the crucial focus for our every day. They are the four believes by which we work. They are the HARCOURTS values. Jeanette is an energetic and ambitious person, and has a mature and responsible approach to any task or situation she is presented with. Her primary passion is service delivery, and she takes customer care very seriously. When not at work she is an avid artist and graphic designer. Jolene Visser has a passion for her work as a real estate agent, having won numerous awards including a 1st Place for Most units sold in 2017, and platinum and gold awards for commission generated. During her two years as an estate agent, Jolene feels she's learned a lot from the industry and the people she gets to work with, savouring every moment and living her life to the fullest! Lea is a optimistic realist with a passion for people ...not properties. She has started her real estate career by doing residential rentals for 8 months, she then tried her hand at commercial sales where she sold two commercial offices within 2 months of being in the commercial property sector. She is now found her niche and have great success in residential sales. 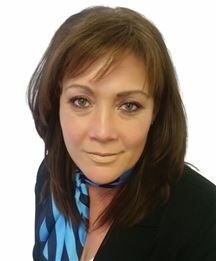 Martie Cloete first entered real estate sales in Rayton, South Africa in 2016 with Unbeatable Properties and short thereafter in 2016 Martie join the Harcourts team. Martie's outstanding sales as well as her personable approach plays a key part in ensuring Harcourts is provided with dynamic support and outstanding client service. She is busy obtaining her qualifications in real estate through the Real Estate Institute of South Africa. Martie has vast experience and knowledge covering all aspects of the real estate industry. She is as enthusiastic about the industry today as she was when she first started. Martie believes passionately in continuous development, both professionally and personally. Martie’s pledge of quality: I will work full time as your professional Sales associate to help facilitate the Real Estate process, making it a smooth and profitable experience. Melisa is an on-the-go person, having worked in the real estate industry for the past year, she loves helping people find their new homes, and likes to learn by working. Mia du Plessis has been actively involved in the building industry for the past 20 years. Starting off in the plumbing industry, she soon migrated into construction and has developed in excess of 1000 dwellings either as houses or townhouse complexes. You are in excellent hands should you wish to make use of our vast experience. 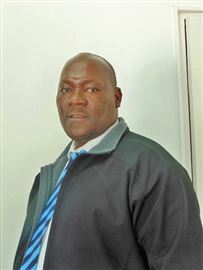 Piet has many years experience in Real Estate, covering all aspects of the industry. 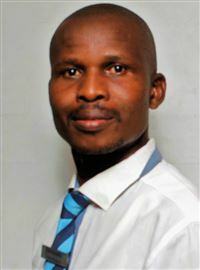 He obtained qualifications in residential, commercial & industrial through the Real Estate Institute of South Africa and graduated in 2002 through the Homenet’s Training Academy. 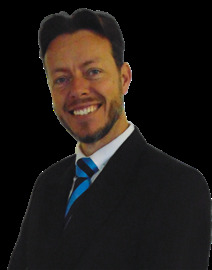 He completed the Senior Commercial Course including Town Planning and Valuations presented by Louis Taljaard, through the South Institute for Estate Agents in 2006. He is therefore fully equipped as a commercial advisor in the Real Estate. Piet has hands on knowledge of all facets of the buying, selling and letting of residential, commercial & industrial property, fully conversant with the Real Estate Act and other governing legislation applicable to the Real Estate. It is these kinds of skills and education, coupled with his ability to listen to the needs of clients, understand their requirements and quickly take action that has been the cornerstone of his success. Piet’s skills, knowledge and passion for the industry resulted in him ending constantly in the first or second place in many annual international awards. Riekie walks the extra mile with her buyers and sellers. She has excellent people skills, is friendly as well as professional and hardworking. Riekie specializes in residential properties in the Rooihuiskraal, The Reeds, Thatchfield, and Kosmosdal areas of Centurion. Shenaz is a gregarious, motivated and caring person. As a real estate agent, she is professional, persistent and passionate about properties. Her objective is to assist her clients in finding their dream home, not just purchasing a property. Her pledge is to facilitate the real estate process for you, assisting you throughout the transaction. Shenaz has extensive experience in residential and commercial, sales and rentals; building packages and new developments. Area Agent: Wierda Park, RHK North, Celtisdal, Eldoraigne, Erasmia, Claudius and Laudium. Specializing in Security Estates: Eldo Park/Glen/Lakes/ Meadows/Manor/ Ridge/Village/Villas, Westbrooke and Candlewood Estate. Current Developments: Century Skye. 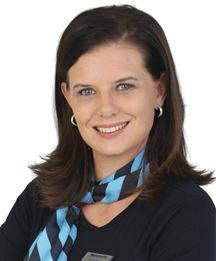 Susan van Zyl first entered real estate sales in Rayton, with Unbeatable Properties in 2006. In 2016 Susan join the Harcourts team. Susan's outstanding sales as well as her personable approach plays a key part in ensuring Harcourts is provided with dynamic support and outstanding client service. She obtaining her qualifications in real estate through the Real Estate Institute of South Africa. Susan has vast experience and knowledge covering all aspects of the real estate industry. She is as enthusiastic about the industry today as she was when she first started. Susan believes passionately in continuous development, both professionally and personally. Susan’s pledge of quality: I will work full time as your professional Sales associate to help facilitate the Real Estate process, making it a smooth and profitable experience. 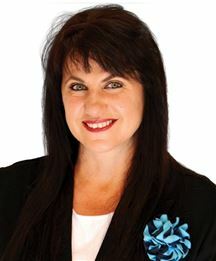 Theunetta Schubert first entered real estate sales in 2008 with Unbeatable Properties in Rayton, South Africa. In September 2016 Theunetta join the Harcourts team. Theunetta's outstanding sales as well as her personable approach plays a key part in ensuring Harcourts is provided with dynamic support and outstanding client service. She obtaining her qualifications in real estate through the Real Estate Institute of South Africa. Theunetta has vast experience and knowledge covering all aspects of the real estate industry. She is as enthusiastic about the industry today as she was when she first started. Theunetta believes passionately in continuous development, both professionally and personally. Theunetta’s pledge of quality: I will work full time as your professional Sales associate to help facilitate the Real Estate process, making it a smooth and profitable experience. I have been involved in the Residential Real Estate Industry since 1994 and part of the Homenet / Harcourts family for more than 24 years. Professional Designation: Professional Practitioner in Real Estate (PPRE) Certification Status: Further Education and Training Certificate in Real Estate (NQF Level 4) I believe in upholding a reputation of “honesty, integrity and professionalism”. My aim is not to lose touch with offering homeowners a friendly, professional service as well as maintaining an in-depth knowledge of the property market in South Africa and abroad. “I am passionate about what I do and eagerly await to show you your new home”. 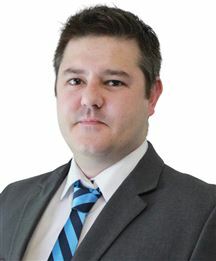 Willem joined Harcourts Maritz in 2010 after being involved in building projects and developments since 1997. He covers the whole spectrum of property sales and rentals but specializes in agriculture, commercial and land for development purposes. So if you want to sell your farm to buy a business stand or to develop your own estate, Willem would be the ideal property professional to have in your corner. After close to 30 years in public health, Wilma retired on 30 September 2009. The past six years she was head of hospital administration (Deputy Director:Administration) at the University of Pretoria Oral and Dental Hospital. After entering the labour market, she worked in the travel industry for 12 years before joining the Department of Health in 1980. Over a period of three decades she became an expert on public health administration and management and effectively managed the departments of Finance,Human Resources, Administration and Administrative Support Services at the Oral and Dental Hospital. Although she has retired, she is determined not to succumb to old age and has therefore opted for the property industry with its many challenges and opportunities.She joined Harcourts Maritz on 1 March 2010 and after completing the in-house training offered by Harcourts, as well as the 28-Day Programme through Real Training International, for which she obtained 96%, she started with active prospecting and marketing on 1 June 2010. Since then she has sold nine residential properties of which five were successfully concluded. 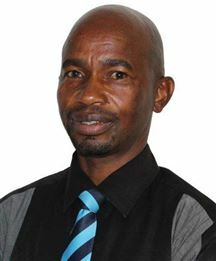 Zola Buthelezi has been active in the Real Estate Business since 2012, and has many years experience in matching clients with their perfect homes. In 2013, she joined Harcourts Maritz as an Intern Estate Agent, and completed her RPL, NQF4 and PDE exams to be registered as a qualified Full Status Agent in 2018. She treats all her clients as if they're family, with kindness and professionalism. Her working areas are Olievenhoutbosch, Stone Ridge, Silverwood Estate, Thornfield Estate, Heuwelsig Estate, Silverstone Estate, Heuweloord, Kosmosdal, Rooihuiskraal, The Reeds. Pretoria CBD, Pretoria West, and Pretoria North, and our developments. After Dominique matriculated in 2014, she decided to take a gap year to explore the Real Estate Industry and try something which she has never done. In February 2015, Dominique joined the Harcourts Maritz team as receptionist. Even though Dominique is relatively new at this, she uses her people and communication skills to prosper in everything she does. 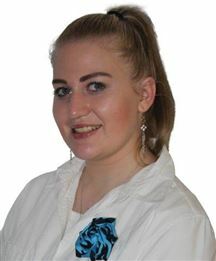 With her personality and positive attitude she helps to provide a good service to all our clients. She is an asset to Harcourts Maritz. Heleen Maritz got her Basic Diploma in Deed Practice in 2007. This got her the experience with the Real Estate transactions. Heleen first entered the Real Estate market in Bronkhorstspruit, South Africa in 2008, as a receptionist with a private Realtor. In 2008 done the CEA with the Estate Affairs Agency Board until the Realtor join RE/MAX in 2010. Heleen's outstanding rental skills and dynamic support assist the Principal up till 2017 with her outstanding client service when she then join the Harcourts team. Heleen has vast experience and knowledge covering all aspects of the real estate industry. She is as enthusiastic about the industry and like to assist the agents, buyers and sellers with her knowledge as far as she could, personally and professionally. Heleen’s pledge of quality: I will work full time as your Personal Assistant to help facilitate the Real Estate process, making it a smooth and profitable experience. After having been in the property industry for almost 14 years, Jackie du Preez joined the Harcourts Maritz team in January 2018, bringing not only an expertise of the industry with her, but her vibrant and fun personality. Jackie is a people-person with a heart of gold, and while she works from the managerial side of the company, she loves interacting with everyone who steps through the doors. Jackie specializes in the training of new agents, as well as keeping our existing agents up to date on new developments in the industry. She has experience with the EAAB, as well as having run her own business helping agents better organize their own listings in the past. As Customer Service Manager, she acts as a liaison between agents, clients and other companies making sure that the lines of communication remain open. Customer service is an integral part of Harcourts Maritz's customer value proposition. Marinda's primary function is to ensure that quality and service exceed customer expectations. Marinda is deeply committed to ensuring a successful outcome for every client she works with and every agent she supports. Modern Home in Secure Estate. You can live here forever !! Neat two house family plot. Build you dream home today!!! !